November saw sales of the world’s cheapest car, the Nano, plunge 85% year-on-year, Tata has said. In contrast with 2009’s figure, Tata is holding customer’s responsible, since they have difficulty obtaining loans. Nonetheless, analysts have stated that the Nano’s well known issue with catching fire and price hike had something to do with it. Tata has reacted to the Nano’s fire problems buy offering customers a free safety upgrade, but was exclaiming that it was not introducing a recall. 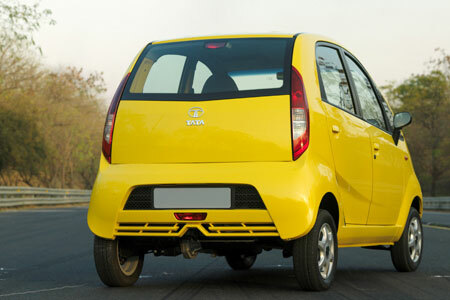 Tata sales rose by 1% across the line-up to 54,622 units. Of these, just 509 Nanos were sold. Launched in India in April 2009, prices for the Nano start from roughly £1,400. Main image taken from here.